Moving beyond BEARINX-online, it is possible using BEARINX-VIP to model not only a nested shaft system but also a complete transmission and carry out analysis down to the level of individual rolling contacts. 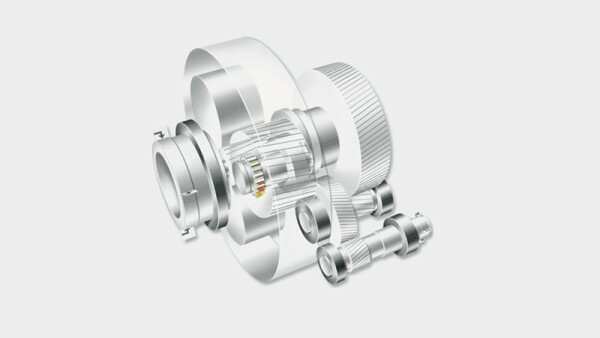 The influence of shaft deflection on the bearing load distribution is taken into consideration, as is the influence of the elasticities of the rolling contacts and optionally the influence of the elastic environment. The elasticities of the environment can be taken into consideration by means of FE matrices of influencing factors. 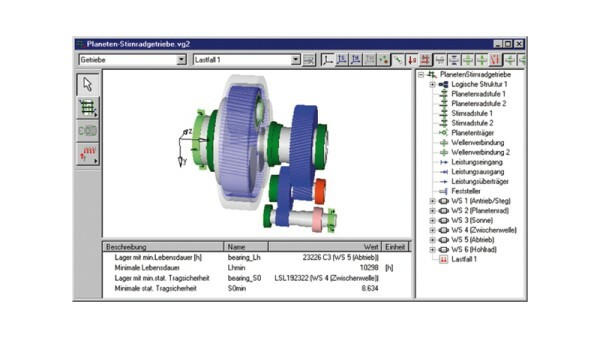 The bearings can be uploaded to the calculation model from an integrated database, thus taking account in calculation of the stored profile data. In order to calculate the operating clearance, input wizards are available that allow information to be entered on temperatures, tolerances and roughness of the rings and bearing seats. In addition, stiffness at the operating point can be calculated. BEARINX-VIP offers the possibility of carrying out calculations on both decoupled and coupled transmissions. BEARINX-VIP offers a valuable 3D visualization of the calculation model as well as visualization of results on load distribution and pressure distribution. Both BEARINX-VIP and the full version of BEARINX apply the same calculation models and algorithms, which means that calculation dossiers can be easily exchanged, giving easier communication with our engineering service. 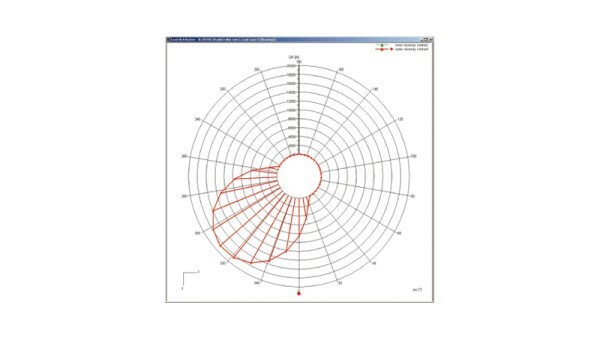 Analysis of your design variants is aided by the transparent documentation of results and the graphical representation of shaft reactions and internal load distribution in the bearings as well as Hertzian pressure curves for roller bearings. A help system and a tutorial provide initial assistance if any questions arise. BEARINX-VIP uses calculation of the adjusted reference rating life in accordance with ISO TS 16281 (English) or DIN 26281 (German) based on the current level of technical expertise. 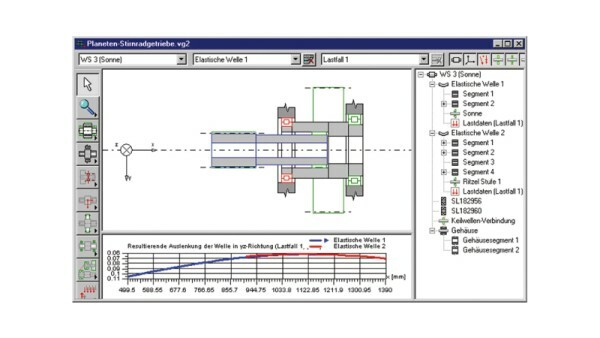 BEARINX is a calculation program for analysis of rolling bearings in complete transmission systems and shaft systems, which combines proven, state-of-the-art engineering knowledge with innovative analysis options. The program has been developed at Schaeffler by experts for experts. The outstanding performance capability of the program, combined with the indispensable skilled advisory work of our engineering service as well as the practical experience of our customers, results in innovative and technically sophisticated solutions. The development of BEARINX-VIP is not intended as a way of transferring advice and calculation services from Schaeffler to the customer. Quite the opposite - we want to work with you more closely than ever. The objective is to make a suitable preliminary selection of bearings in the early design phase, in order to shorten development times within your Company. The provision of BEARINX-VIP for local application incurs one-off introductory costs. These costs cover the creation of a download area on the Internet as well as a two or three day seminar matched to your circumstances. Annual licence and maintenance fees will be applied.